"House Hunters has more spin-offs than CSI. I don’t want to see you ‘flip it.’ I don’t want to know about your 'curb appeal.' 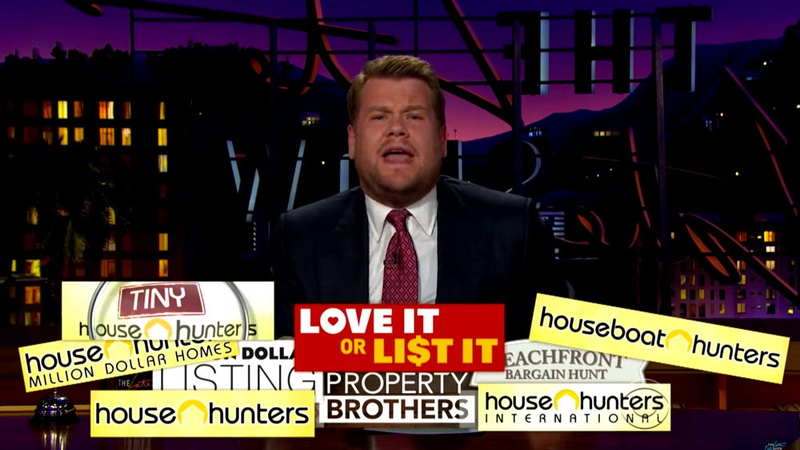 The only thing I want to hear is my wife say, 'James, should we watch House Hunters?… not!' Because it was canceled."